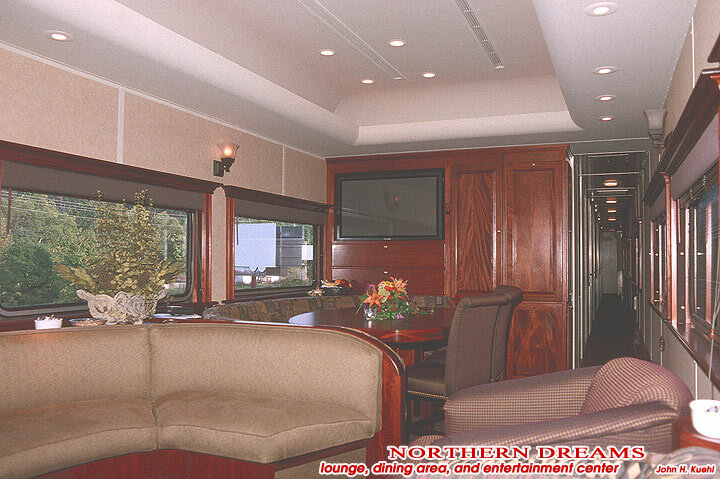 For a beautiful private rail car experience, this observation car has rear-facing windows, six double bedrooms, lounge, surround-sound home theater, TV/VCR/DVD, kitchen, full meal service and Wi-Fi. Push-pull equipped. Built by Pullman-Standard in 1955 as 5 double bedroom-buffet-Redwood Lounge car North Platte for the Union Pacific Railroad. 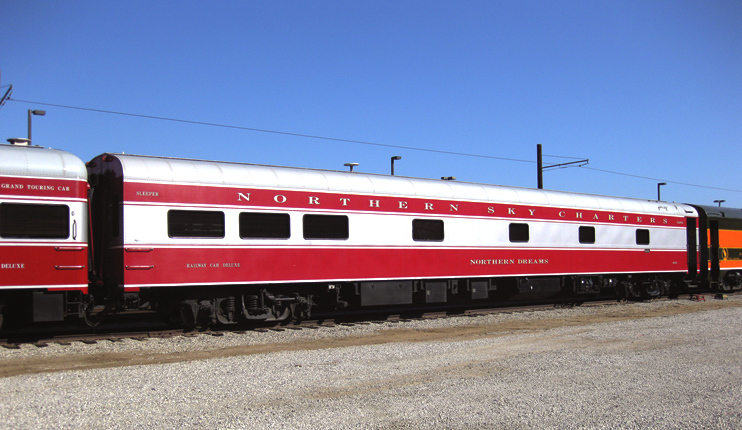 Rebuilt by UP to an 11 bedroom car in 1956 and renamed Star Scene. Number 1705 added in 1969. 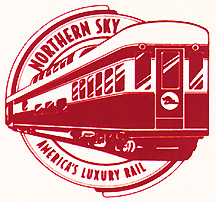 Sold to Amtrak in 1971. Number changed to 2254, later changed to 2230 when modified for service on Amtrak’s Virginia-Florida Auto Train. Retired in 1997. 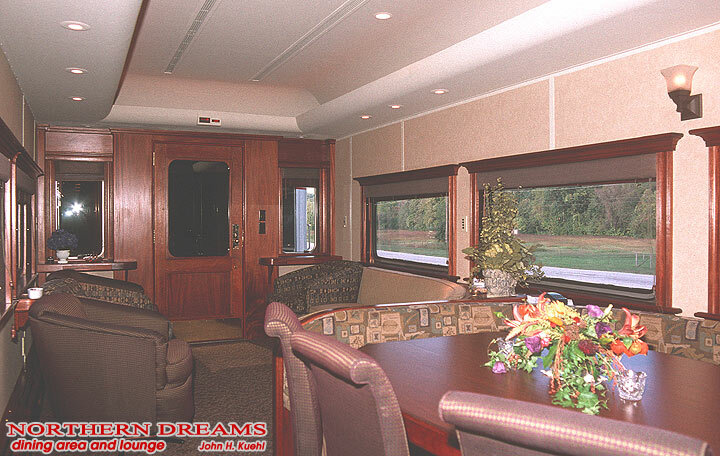 Sold to current owner in 1999 and renamed Northern Dreams. Interior refurbished in 2013. Based in Chicago.